Unusual full Moon recorded from Mother's Beach, Marina del Rey Ca. 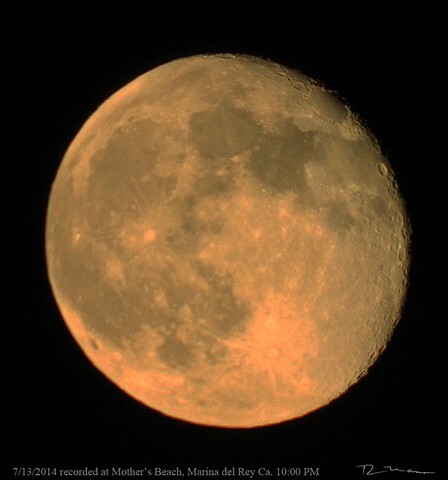 Light glancing off the Moon defines the shadowed craters. On 7/14/14 the Waning Super Moon was recorded with a Canon T3i and an adapted Meade 1,000 Millimeter Telescope. This unusually colored and side lighted waning full moon was recorded from Mother's Beach in the Marina del Rey California at 10:00 PM by Richard Mann.